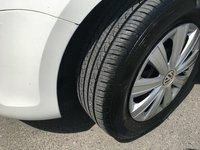 Due for a redesign any year now, the 2013 Jetta Sportwagen continues on the Jetta's previous platform for its second year beyond the Jetta's redesign, carrying over for 2013 with only one paint color difference. 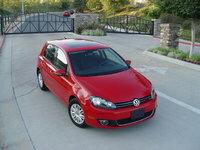 Not that drivers are complaining—the few complaints about the Sportwagen have to do with power in the TDI turbodiesel. Namely, this beastly engine tends to jerk people around when it's cold, and though that's not news to folks familiar with the V-dub's turbo, drivers just entering the Sportwagen and expecting the same Americanized ride as the latest Jetta tend to find that a bit of a nasty surprise. 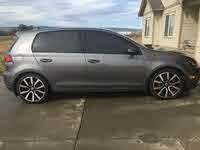 Known overseas as the Golf Wagon, the Jetta Sportwagen is a front-wheel-drive midsize (but roomy) 5-passenger wagon that drives like a compact and packs like a minivan. 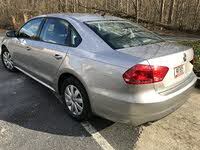 Offering on-par zip-to-60 times around 9 seconds, highway mpg into the 40s and nearly 33 cubic feet for cargo before you fold down the back seats, those that need this level of utility are absolutely in love with this Volkswagen and see no equal on the market today. Indeed, no vehicle of its class offers 67 total cubic feet for cargo, and anything offering that much space doesn't drive with as much pep and agility. The same S, SE and TDI trims carry into 2013 featuring comforts like full power accessories, roof rails, keyless entry, heated mirrors, heated windshield-washer nozzles, cruise control, heated front seats, tilt-and-telescoping steering wheel, Bluetooth connectivity and an 8-speaker sound system with CD player and auxiliary jack all standard at the baseline. The SE and TDI trade the 16-inch steels for alloys and cloth for leatherette vinyl upholstery, then add upgraded gauges, leather-wrapped shifter and steering wheel, and 2 more speakers for the sound system with a touchscreen interface, satellite and HD radio capabilities, 6-CD changer, iPod interface and steering-wheel-mounted controls. 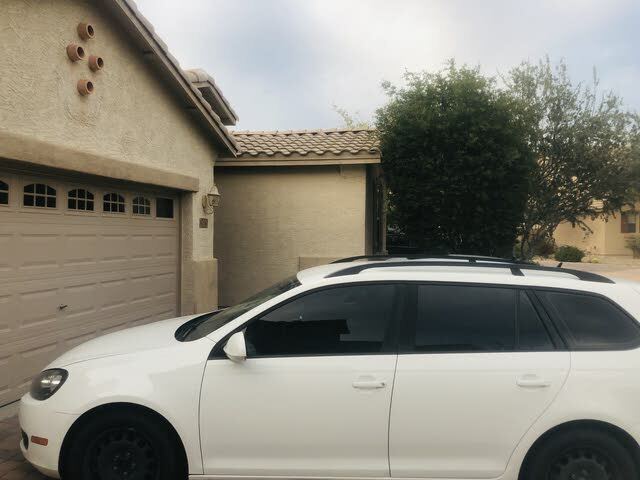 The SE can opt for 17-inch alloys and a panoramic sunroof, whereas the TDI's package adds a navigation system and keyless ignition on top of the new rims and roof. The base engine is a 2.5-liter inline 5-cylinder good for 170 hp and 177 lb-ft of torque. The SE is powered by a 6-speed automatic that is also available to the S, but otherwise the S defaults to a 6-speed manual fetching the best economy of the non-diesel engines for 24 mpg city/33 highway. The automatic is good for 24/31 with this engine, which is still very respectable for its class. Springing the extra few grand for the TDI gets a 140-hp and 236-lb-ft of torque 2 liter inline 4-cylinder good for 30/42 with the manual transmission or 29/39 with the automated manual. The TDI is also the peppiest of the bunch, hitting 60 mph in just under 9 seconds. The Jetta Sportwagen is definitely a car that is better in person than it is on paper. Don't be fooled by the "leatherette" or sub-200 figures for horsepower—give it a try. We're pretty sure the top-notch interior and refined performance will wow you, too, just don't expect a pedigreed sports car. It is, after all, a wagon. What's your take on the 2013 Volkswagen Jetta SportWagen? 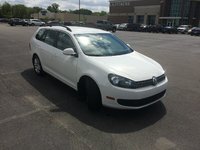 Have you driven a 2013 Volkswagen Jetta SportWagen? I live on a small island where the distances are just not that great. Upon going to the mainland the driving will be mostly on freeways.